Be my guest: You can read this book in 5 major themes; however, that can be read separately as well. Theme 1: What’s Been Going On? In 2007 the first iPhone was introduced, forever changing the way we interact with technology. Back then, who would have figured that these powerful supercomputers in our pocket would become such an important part of data collection for medical purposes and clinical trials? The world has changed fundamentally since the turn of the century: technology grows at an exponential pace. “Omnia mutantur nos et mutamur in illis”: Everything changes, and we change with it. That notion seems even truer in 2018, and beyond. The way we interact with new technologies has radically changed our social, cultural and economic systems, health(care) included. We are entering a world of Augmented Health(care)™,as I coined it in this book. What are the main changes I have witnessed in healthcare and technology in the past eight years I’ve been in health(care) innovation and part of ‘the system’? Theme 1 will touch upon some major developments from an international perspective. With a number of noted guest contributors, I will dive into the emergence of #patientsincluded™ and #nurseincluded™ as an unstoppable force, the digitization of the healthcare sector and the need for alternative business models, coming from international tech companies such as Apple, Amazon, Google, with a strategic focus on healthcare. We will begin with the earliest uses of the Internet in healthcare – mostly as a source to search medical information – and fast forward to crowdsourcing medical data and other novel ways of doing clinical research. We will share about the future of real estate. At Radboudumc, we are about to begin the biggest real estate transformation in years, building a hospital that is fit for the future. But how do you build a future-proof building in an era of exponential technology? It’s like building a plane in mid-air. As Rene Bleeker points out, a strategy must be built on bricks, bytes and human behavior. These are not mere abstract visions; these are real things that are happening right now, this very moment. Want to know what’s been going on in healthcare? Start here. As we continue to live longer, we are not necessarily living healthier: more and more people develop one or a multitude of chronic conditions, which will inevitably cost money and demand services in terms of healthcare. We will have a huge number of people that are moving into retirement age: a “silver tsunami”, as HIMSS CEO Hal Wolff calls them in his contribution. These are the economics that will drive the next ten years within our healthcare systems. What are these “cracks” in the system? How do they manifest? This theme will not only focus on the increasing pressure that (inter)national healthcare systems are facing. As I will argue in this book, our medical systems mostly comprise of logistic processes – I reckon 80% – only 20% of our time and energy goes to medicine. Solving current logistical inefficiencies in this system could be a possible solution. Therefore, we need a new perspective on supply chain management, delivering service and customer excellence, as experts from outside healthcare are eager to point out (see, for example, Michiel Muller’s vignette: “We need to optimize the chain with the use of data”). At the same time, digital healthcare seems like a different planetary system altogether. We come up with separate names, separate reimbursement models and separate workflows when it comes to digital health(care). And as long as a separate digital portal or an app per institution to access your medical records is needed, a challenge (at least, in the Netherlands) continues to be posed, and we will continue to experience inefficacy and information asymmetry in the domain of healthcare. The only solution to stud these cracks in our system is to fully embrace the digital transformation. “Stop talking, start doing.” It seems so simple and logical; yet, most people find it so hard to make the first step and just begin. It’s is one of my mantras that I must have shared at least a thousand times on stage: taking part is the only way. We’ve seen over and over again the hurdles that we’ve discussed in all of those sessions prior to the start appeared to be different ones in the end. You have to get your feet wet, get into the mud and take the messy, slippery road of innovating in healthcare. It is the only way to excellence in the end. You can’t learn how to bike from a book, can you? In this theme, the learnings and experiences from the REshape Center and the innovation department at the Radboud University Medical Center that I was granted to found in 2010 take center stage. How do you “manage” innovation? How do you prepare an organization – in our case, a university medical center with as many as 13,000 students and professionals – for the future? What can you learn from our mistakes? Theme 3 takes you on a – by no means all-encompassing- guide for innovation. What is a “moonshot project”? Why is focusing on the “day after tomorrow” so important, yet so hard for most teams or organizations? How can you possibly tackle resistance in your team, amongst your colleagues or in your board? What is the role of leadership and management in organizations when it comes to innovation? For those interested in our journey of innovation at REshape, I have included some of my memories and recollectionsin this theme as well by including some of my Linkedin blogs(still stunned it has over 750,000 followers already) from the earlier days to give some perspective. I have not only been using Gartner’s Hype Cycle to handle the predicted breakthrough moment of technology; we used it internally as well, as I noticed that every innovation project was practically going through the same phase of the Hype Cycle. I started to try and influence a specific portion of it, more as a guidance of how projects evolve. In my opinion, Speeding up the Hype Cycle could increase the actual access to and the use of innovation and adoption of the #patientsincluded™ model. The digital evolution is impacting the way we work, the resources we use, and the nature of technology itself. If organizations hope to respond swiftly to change, reap the business benefits of new digital innovation and attract top-tier talent in the future, it is a given that their operating model must evolve accordingly into a digital TOM (Technological Operating Model). For a lot of organizations, however, the digital strategy that they have identified does not fit into their current (traditional) OM: it’s like trying to fit a UK plug into a US Power socket, or a square peg into a round hole – as they say. I have joined forces with Deloitte, to translate into health(care) the nine significant shifts they’ve identified that will influence the model of the future. That needs to be discussed in conjunction with each other as they are highly interdependent. This theme is the strategic core of this book. It is not a handbook, nor a blueprint or a generic approach. Consider this ‘Digital strategy’ merely as the start of a framework for the various steps one could outline to determine whether or not they’re ready for the things that lie ahead and to offer some assistance. A book on healthcare innovation would be incomplete without a brief look into the future. I am immensely grateful for an international team of guest contributors who shared their vision of healthcare in 2030, whether it is the future of pharmaceutical care (Claudia Rijcken), the digital skillset needed in an exponential age (Daniel Kraft), or how an average day of a general practitioner looks like (Bart Timmers). I am hopeful that these vignettes will transpose readers to the future of healthcare. In this final theme, I share my own vision on the future of healthcare as well. We will be entering an era of Augmented Health(care)™, a layer of smart technology and data that comes around us and helps us make better decisions. With us, I mean everyone who is involved in the healthcare sector: care providers, patients, family, government, industry and informal caregivers. Whether that layer is projected via glasses or in another way such as on your phone, refrigerator or smartwatch is not that important. What matters most is that in the future, everyone will have the precise information they need to be able to do their profession or work well, follow a therapy adequately, or receive the right information at the right time. 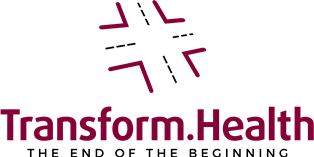 With AugmentedHealth(care)™ healthcare professionals and patients are givendigital tools to process and analyze the ever-expanding oceans of data in a meaningful way.